500 copies on 140g bronze vinyl, housed in a 100% sustainable card sleeve. An additional 20 test pressing copies on black vinyl, housed in hand-crafted sleeves with alternative artwork, were available exclusively on this website. Both editions come with a free download code. One of Drone’s most prolific artists, Justin Wright aka Expo ’70 can look back on an impressive discography counting more than 40 albums since 2003, which have undoubtedly influenced many other musicians in the Experimental/Psychedelic/Drone community and attracted a huge followership in the scene. 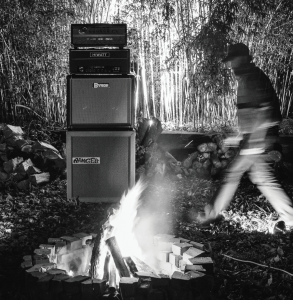 This has resulted in extensive touring, the last one through 11 countries in Europe, and several live releases. Now Expo ’70 returns with a brand-new studio album, showcasing his trademark organic guitar drones that propel the listener ever deeper (or higher?) into other states of consciousness. Kinetic Tones was recorded all to analog reel-to-reel with no over-dubs, which gives the whole album an even more personal and intimate feel. The album spans over four tracks that range from minimalist Drone over spooky Psychedelia to harmonic and beautiful soundscapes, reaching a total running time of just under 40 minutes. Expo ’70 dedicates his release to the critically endangered Flores hawk-eagle. Due to ongoing habitat loss within its small range across the Indonesian forests of Flores, Lombok, and Sumbawa, capture for the cage bird trade, and persecution due to its habit of taking chickens, the Flores hawk-eagle is evaluated as critically endangered on the IUCN Red List of Threatened Species. It is estimated that less than 100 pairs remain. 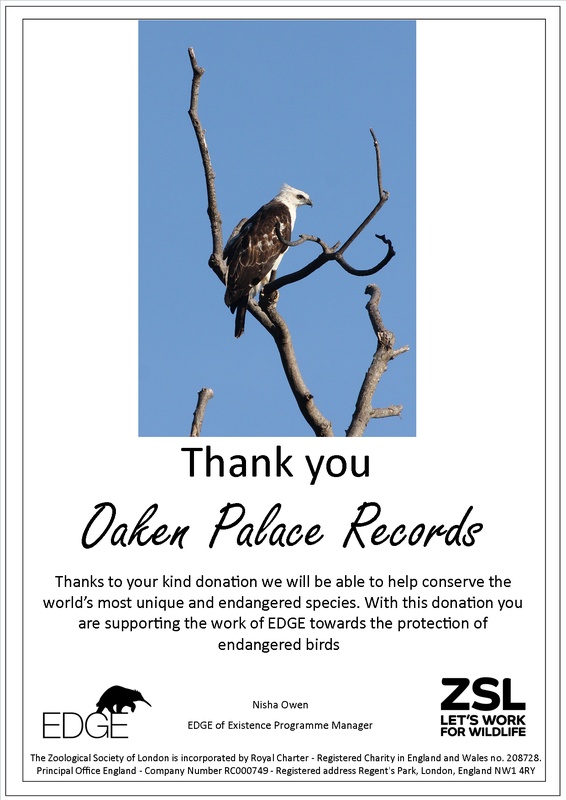 All profits will be donated to the EDGE of Existence bird conservation project to finance much-needed research to establish population size and ecological requirements, and education of local people to halt persecution.